Off to a 3-0 start in conference play, including a win at home over VCU and a win on the road over George Mason, the Wildcats are beginning to look like the cream of the crop in the conference. Kellan Grady’s return has been crucial for the Wildcats; he was dominant in a comeback against the Rams. VCU occupies the 2nd spot in this week’s power rankings and has to be kicking itself after blowing a double digit lead on the road against Davidson. However, the Rams have a great shot at home against Dayton this week. Saint Louis is in the 3 spot this week after surviving the games it should have to open up conference play: Rhode Island, Massachusetts, and La Salle. The Billikens have a pretty good shot at remaining undefeated in league play up to a home game against Davidson that will be really intriguing. Credit Jordan Davis’ hot shooting to carry the Flyers to their last 2 victories: George Washington and Massachusetts have been historically tough opponents for UD. VCU on the road awaits this club that’s looked very solid recently. This would be an enormous win if the Flyers pulled it off. The Dukes are off to a 2-1 start to league play, which is about as good as they could’ve hoped at this point. Two intriguing matchups are upcoming: on the road against Richmond and George Washington. The Dukes are obviously the better team, but can they pull off 2 in a row away from home? 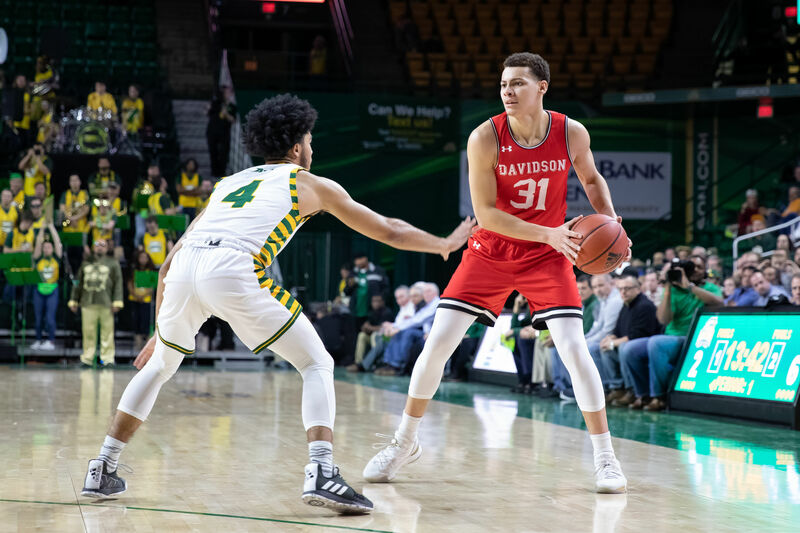 The Rams had a head-scratching home loss to George Mason who came in and dropped 84 at the Ryan Center. Three point shooting continues to be a glaring issue for a team that saw Fatts Russell and Jeff Dowtin combine for an 0-12 night from long range on Sunday. At 0-3 in conference play, Massachusetts has certainly looked better than its record indicates. The Minutemen had chances of upsetting Saint Louis and Dayton on the road; a home loss to La Salle was a different story. Matt McCall’s bunch just needs a win at this point. The Bonnies are off to a 2-1 start to A-10 play but looked a bit shaky against Fordham as the Rams made a furious comeback in the 2nd half up in Rochester. Regardless, they got the win and will have a tough stretch coming up at Rhode Island then home against Dayton. I’d argue that Richmond had its best performance of the season recently against George Washington. Hopefully that can be a stepping stone for Mooney’s bunch moving forward. Saint Joseph’s had its best performance of league play at Duquesne but fell subject to a horrific Checco Oliva injury that left the players and anyone in the arena heartbroken. Unable to pull off the road win, SJU falls to 0-4 in conference play and faces Davidson on Tuesday. Ashley Howard’s squad is certainly improving, and that’s what you like to see with a first year head coach. The upset win over Massachusetts was a nice surprise for the Explorer faithful. Fordham’s definitely struggling and going to struggle in league play, but they gave the Bonnies and the Dukes a valiant effort.